Bull floats are used after the freshly poured concrete has been flattened by a screed. Bull floating is used to level the surface, and force the aggregate into the mix. This extruded magnesium blade is hard, durable and lightweight. Blade is broken-in with rounded edges, and engineered for proper balance. 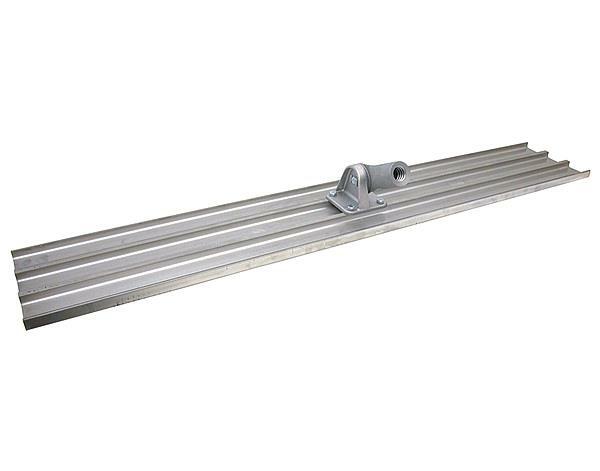 Use with 6' aluminum bull float handle sections. * Please call us with any questions you may have about our float bull rentals in Petoskey, Northern Michigan & The Upper Peninsula.